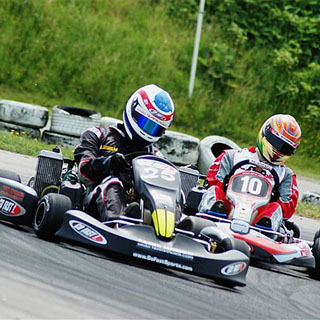 Prepare yourself for an assault on a 900 metre extreme Karting track – specially designed with hairpins, full length straights and sweeping bends. This experience includes 20 minutes of driving karts that travel at speeds up to 55mph. Full instructional and safety briefing is provided before Karting commences to ensure safe, yet fast driving. All race gear is provided in a variety of sizes, for both wet and dry conditions. This experience is weather dependent. Not suitable for people with back/neck problems. This voucher is valid for one adult, age 14+. Minimum participant age is 8 years. 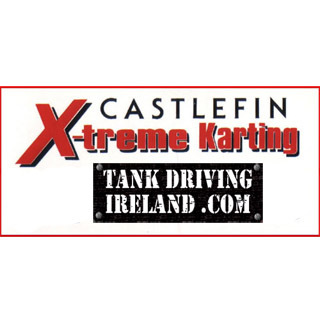 Castlefin X-treme is located in Sessiagh Co.Donegal (7 miles from Ballybofey). Karting operates 7 days a week all year round. Advance booking on AllGifts.ie is required.